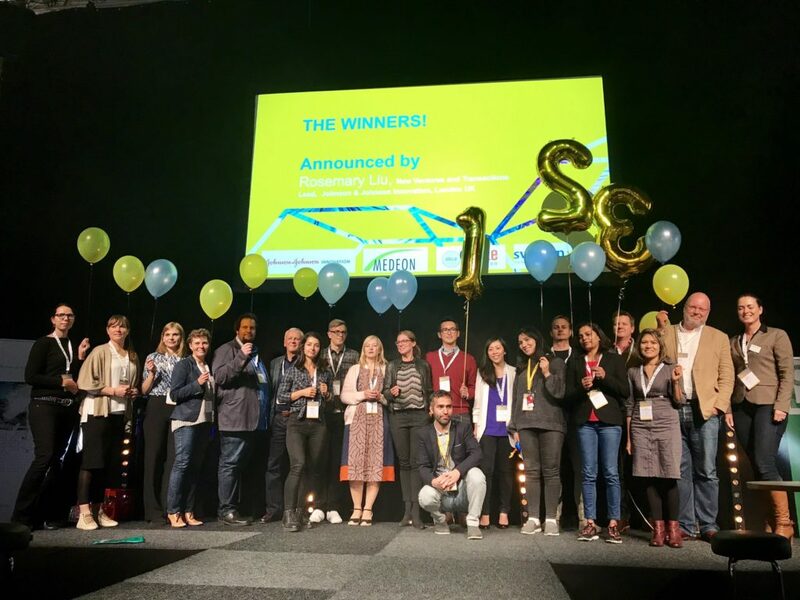 SAGA wins 1st Place in NLSDays 2017 StartUp Pitch Competition! Out of 16 Nordic companies, SAGA Diagnostics won 1st place for best pitch in the Nordic Life Science Days 2017 StartUp Pitch Competition, a Bionordic event sponsored by Johnson & Johnson Innovation, SmiLe Incubator and Medeon Science Park & Incubator. The award includes mentoring from Johnson & Johnson Innovation and complimentary registration including a 6-minute company presentation at Nordic Life Science Days 2018, which will take place on September 10-12 in Stockholm, Sweden. The jury members were: Ms. Rosemary Liu, New Ventures and Transactions Lead, Johnson & Johnson Innovation; Ms. Sandra Lindvall, Associate, Awapatent; Mr. Tomas Eriksson, CEO, A1M Pharma; and Dr. Seppo Mäkinen, Board Professional & Investor, Partner in Pathena Group.